DBI Sala Steel Cable Retractor - 52"
Replacement retractor for 3M� DBI-SALA� tool holsters, tool pouches, wristbands and other products. Device will extend out to 52 in. (132.1 cm) providing ample reach and automatically retracts staying out of the workers way. 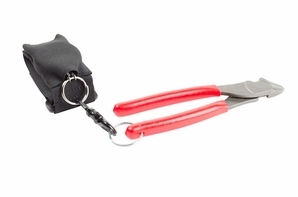 Compatible with 3M� DBI-SALA� tool holsters, wristbands and tool pouches providing quick and simple dropped objects tool protection. Product Reviews for Python Steel Cable Retractor - 52"